Congratulations to Erasmus Talbot of Stockholm, Sweden. On behalf of Pond5, CDM, Korg and iZotope, thanks to everyone who entered our first Video Scoring Contest. Watch the video and hear Talbot’s winning score. 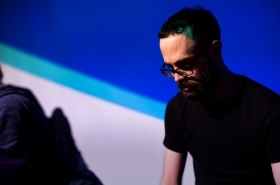 From founding CDM to co-producing an open source hardware synthesizer Peter builds workshops and platforms for collaboration, including the MusicMakers hacklab. His musical projects include AV performances, DJ sets, and modern dance work, having collaborated with Nerk, Robert Lippok, and others. He’ll be releasing new music this year as Alchemic Harm (feat. Lower Order Ethics) and Imaski. As the Audio Media Lead at Pond5, Dani’s responsibilities include supervising the curation of audio, composing original music for Pond5’s creative campaigns, and running events, and cultivating lasting relationships with contributing artists. She is also a singer and producer based in New York City (KYOSi), with a degree in ethnomusicology after having studied at the Eastman School of Music, Ithaca College, and University of Legon in Accra, Ghana. A graduate of Harvard University in 2008, Justin studied music composition and orchestration. In 2010, he composed the songs and score for Damien Chazelle’s feature debut, Guy and Madeline on a Park Bench. In 2014, he composed the original score for Whiplash, and most recently, he composed the songs and score for Chazelle’s film musical La La Land, which will be released by Lionsgate in December 2016. Need some inspiration, or help getting started? Check out a blogpost about getting started with putting music to film, complete with a collection to jumpstart your creativity.